There is an almost overwhelming variety of pumpkins, gourds and faux leaves available everywhere this time of year — grocery stores, farmers’ markets, country farms and craft stores make it pretty easy to buy everything you need to celebrate Thanksgiving. That’s why I wanted something I could make myself — something that looked festive but not overly turkey-cliché. 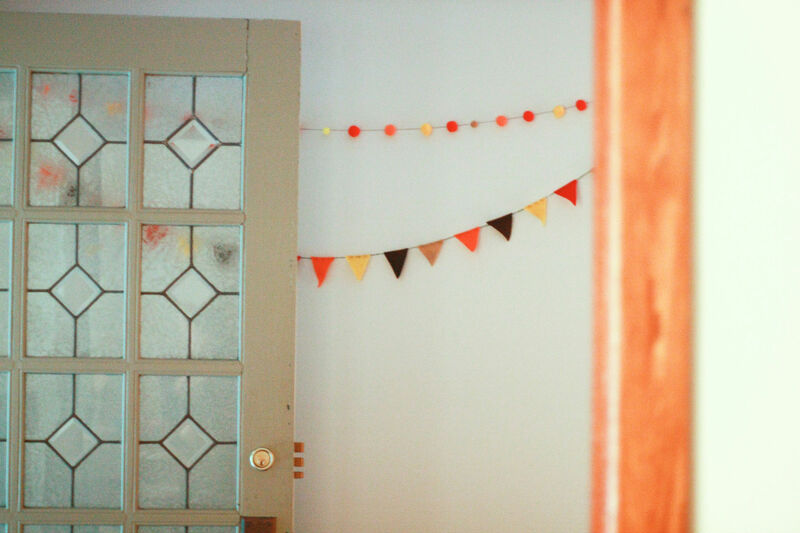 I found it with this sweet little Thanksgiving bunting. 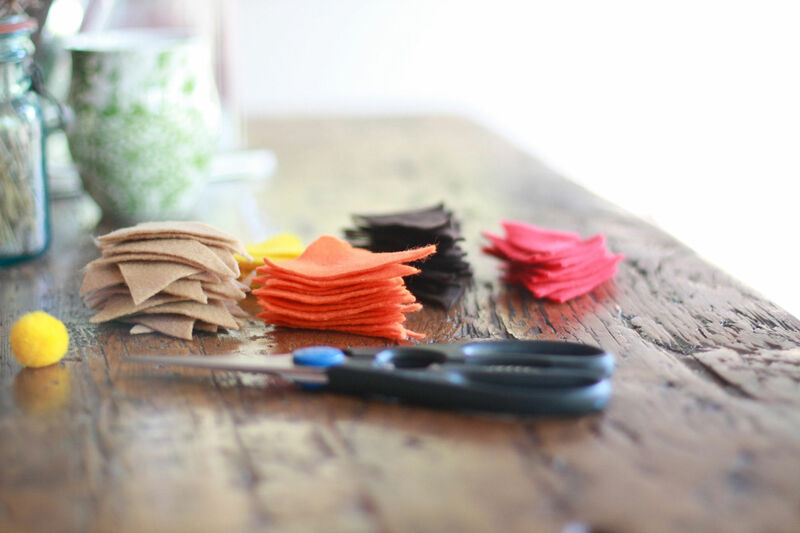 The inspiration for my Thanksgiving bunting came while rifling through my stock of felt scraps. It should be noted that I’m something of a craft supply hoarder. My scraps included flat sheets of mixed felt colours, as well as felt pompoms in various sizes. I excel at indecisiveness. 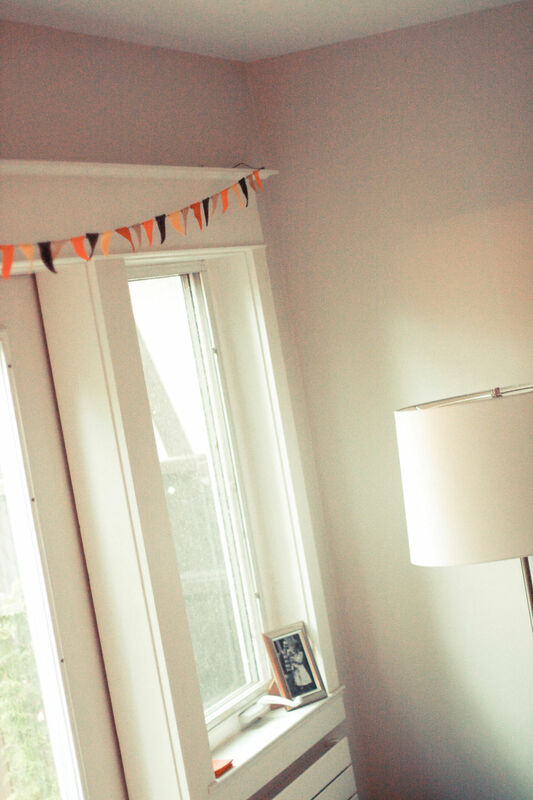 So rather than have to figure out which felt to use, I decided to use it all and make two different Thanksgiving buntings — super easy, super cute. 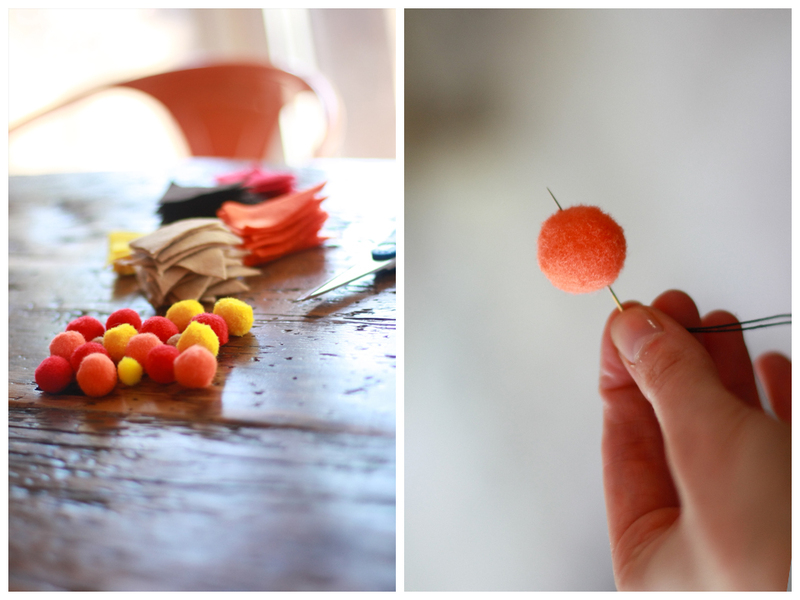 This one is super easy: thread your needle and stick it through the centre of each pompom. 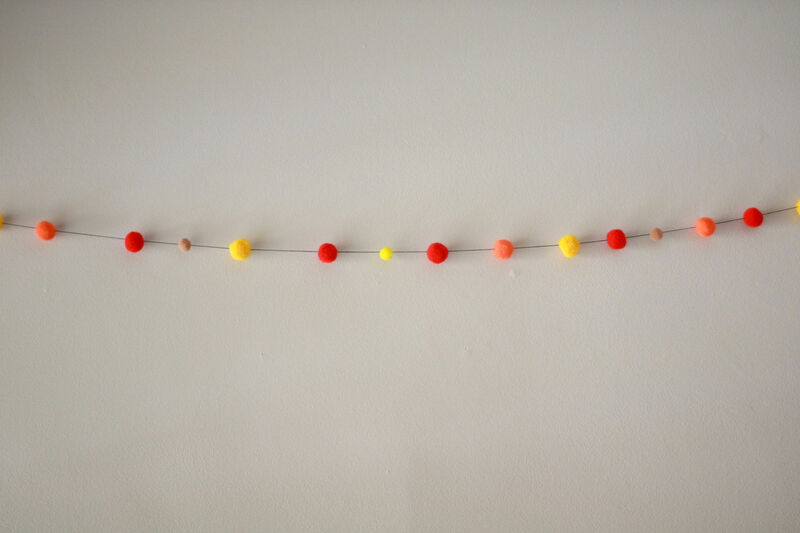 Thread all of the pompoms onto the thread (you can make this as long or as short as you like), tie a loop or slipknot at each end to hang it up, and space the pompoms out the way you like them. Various sheets of felt, cut into triangle shapes (you can be as uniform, or not, as you like — I cut all my triangles freeform into pretty small sizes and love the cute, rustic effect) I got my felt sheets at Michael’s where you can buy by the sheet. Once each felt triangle is cut, I like to cut the corners off the two top points of each triangle — you will be folding this top edge over the twine and this helps prevent any overhang. 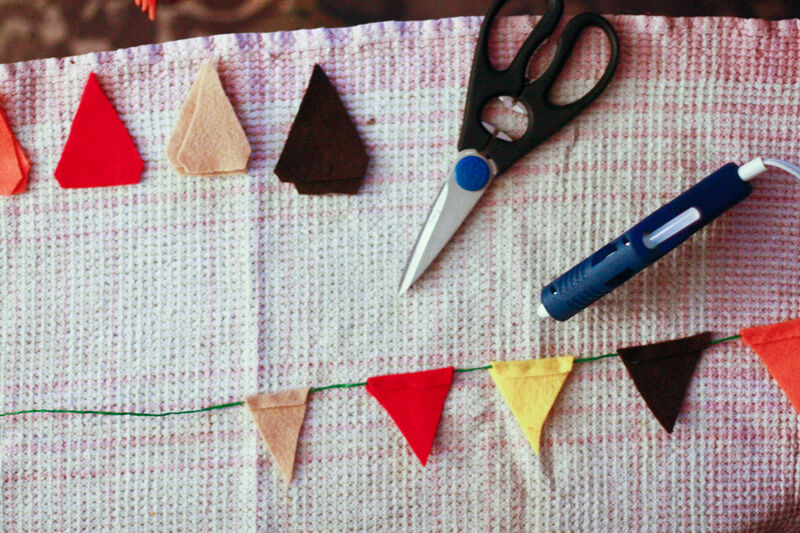 Next, line out your twine, heat up your glue gun, and get your felt triangles arranged in front of you. 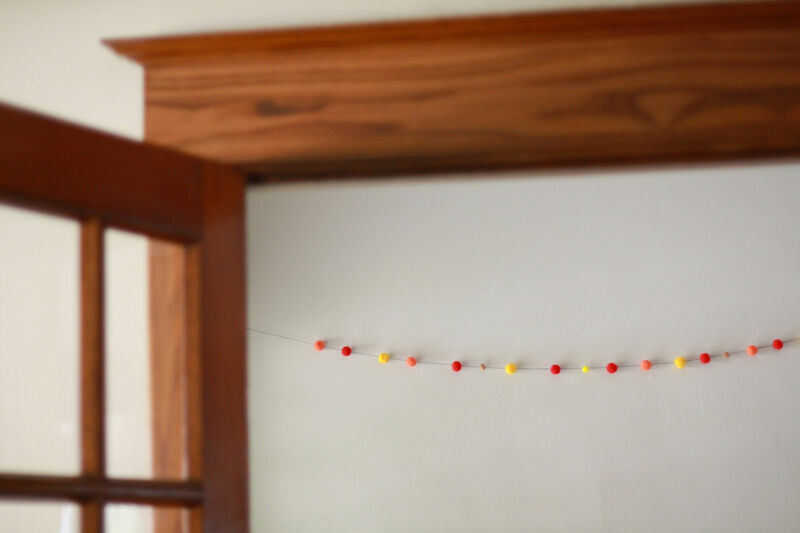 I recommend you do this over an old towel or tablecloth – the glue gun can get sticky. 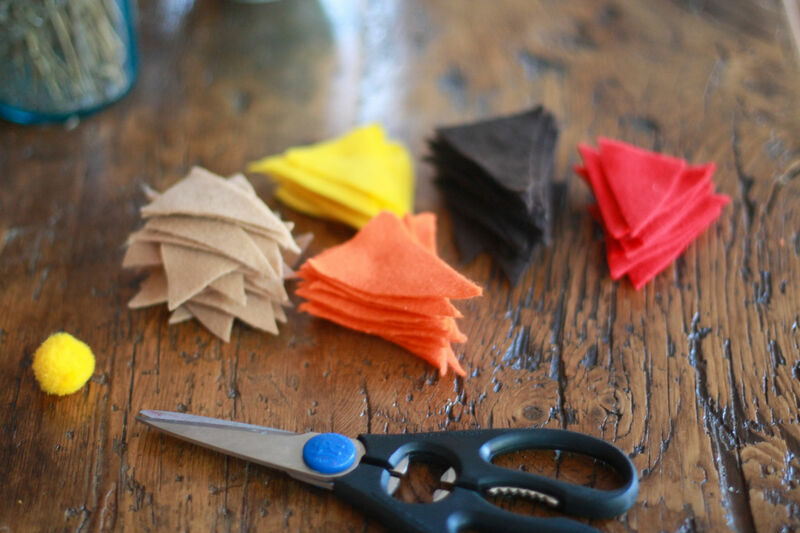 Take a triangle of felt and put 3-4 drops of glue along the upper 1/4 of the triangle, right where you will fold it over the string. 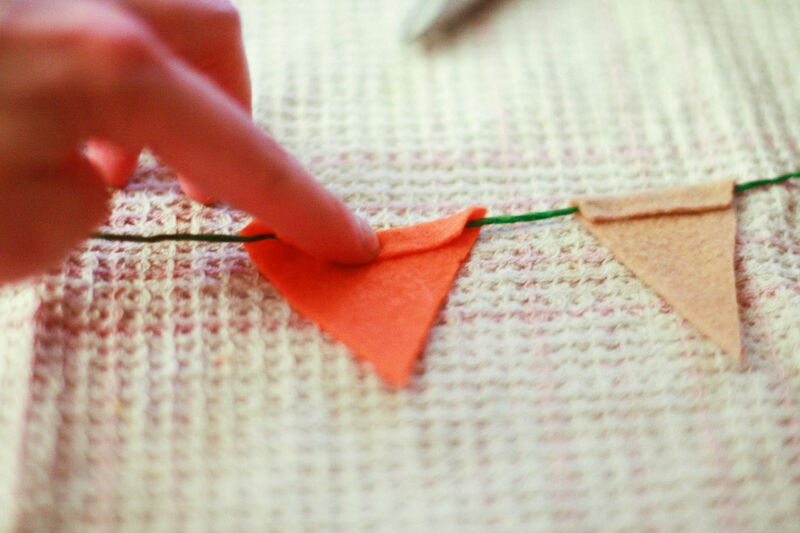 Put the string directly on the glue drops and fold the top edge of the felt over the twine and glue and press to stick. 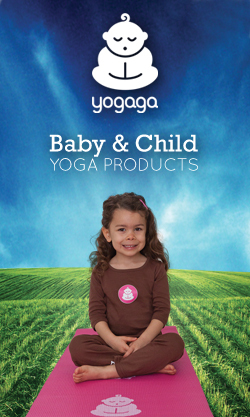 Hold for a few seconds and then move on to the next. If you notice it’s not sticking, add a little more glue. 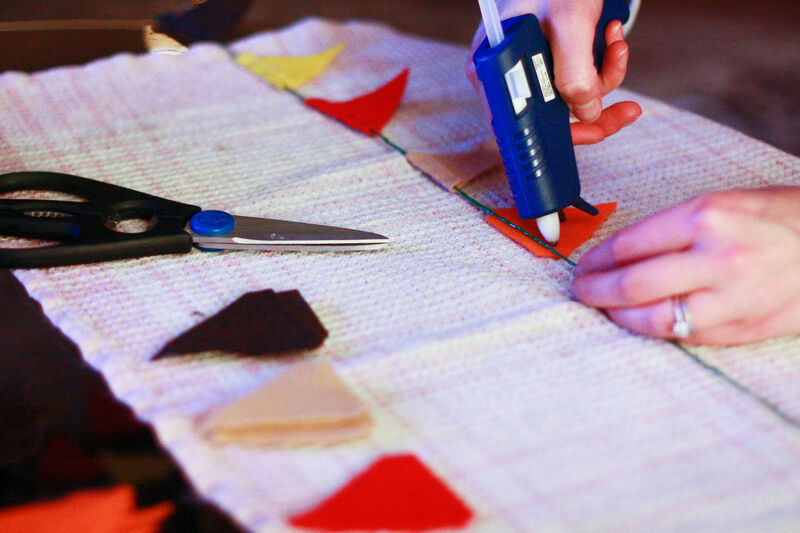 It’s really trial and error when it comes to how much glue to use — you’ll get a sense quickly with your own glue gun. A little usually goes a long way. Let the whole thing dry 15 minutes or so and then it’s ready to hang! 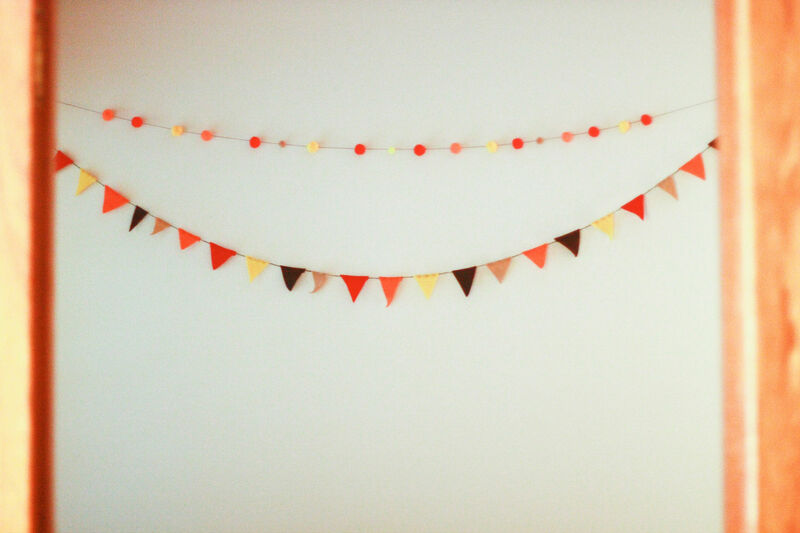 I did quick slip knots in each end and then hung my loooooong bunting from two nails that were already in the walls. We’re headed to our farm for Thanksgiving and I plan to pack both of these beauties to drape festively over our old barn board table. ← Now With More Filling – Same Great Taste!